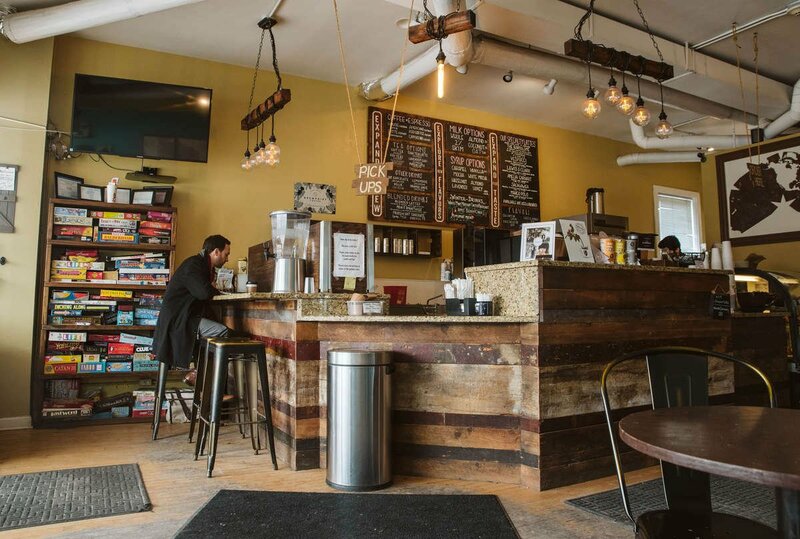 Our mission is to CREATE & EMPOWER authentic community spaces through coffee. Everything we do is created thoughtfully. Everything we do, we share socially. 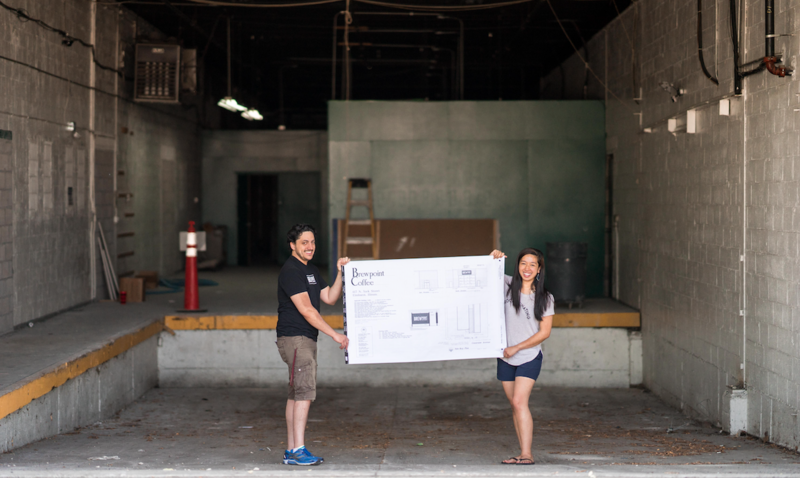 Melissa & Angelo started the dream for Brewpoint Coffee in all the wrong ways. 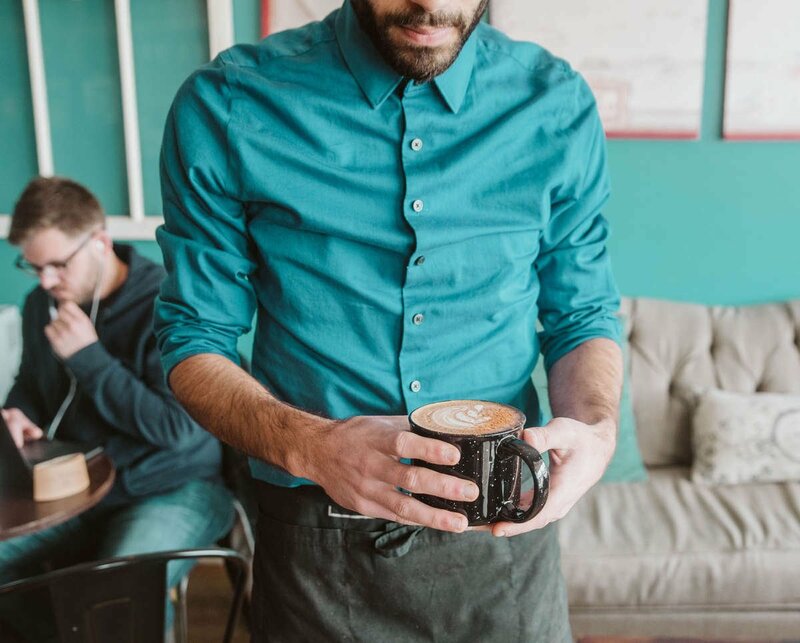 Only six months into dating, both unemployed, no business plan in order and neither had involvement in the business side of coffee before. 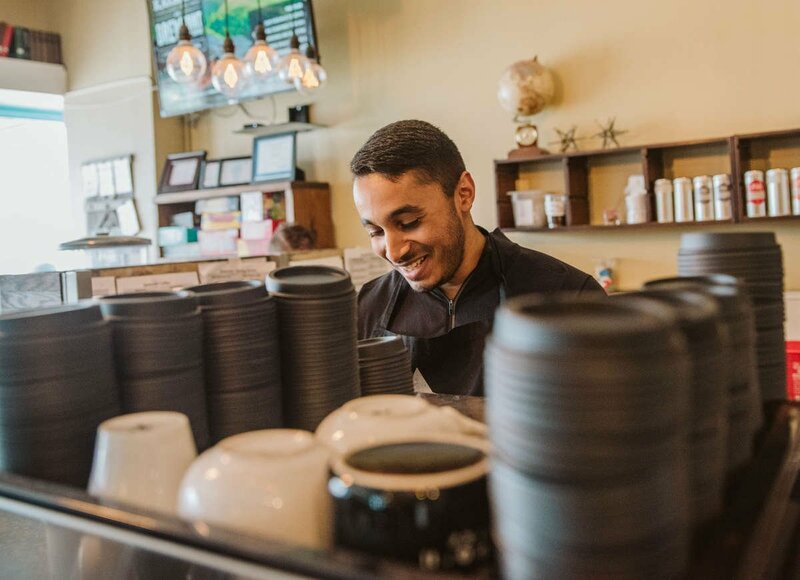 The journey began with Melissa uprooting her corporate life to do community work in the Philippines, while Angelo was home in the States pushing her to dream bigger and out of her comfort zone. 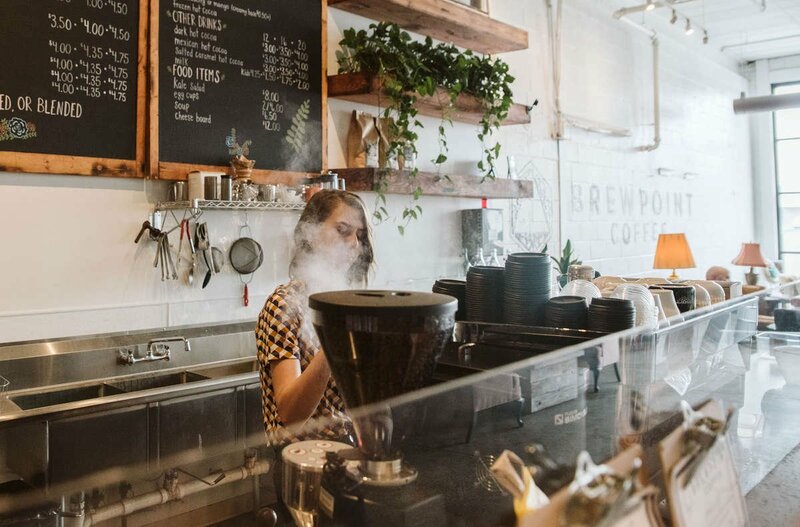 Melissa decided to take his advice, and with no idea what direction to go but with all the inspiration and support, the dream of Brewpoint Coffee was created. 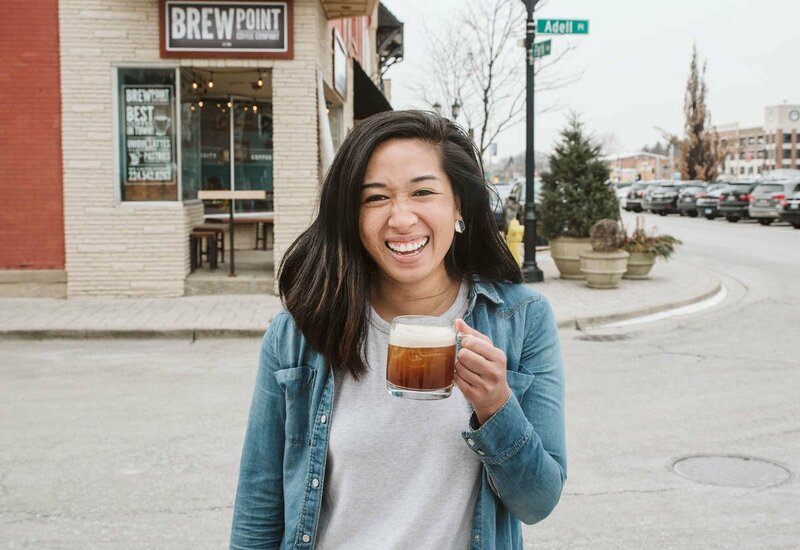 When Melissa first got home from the Philippines, she searched Craigslist to find an espresso machine and began developing what her and Angelo thought was a three year plan to open up a coffee shop. 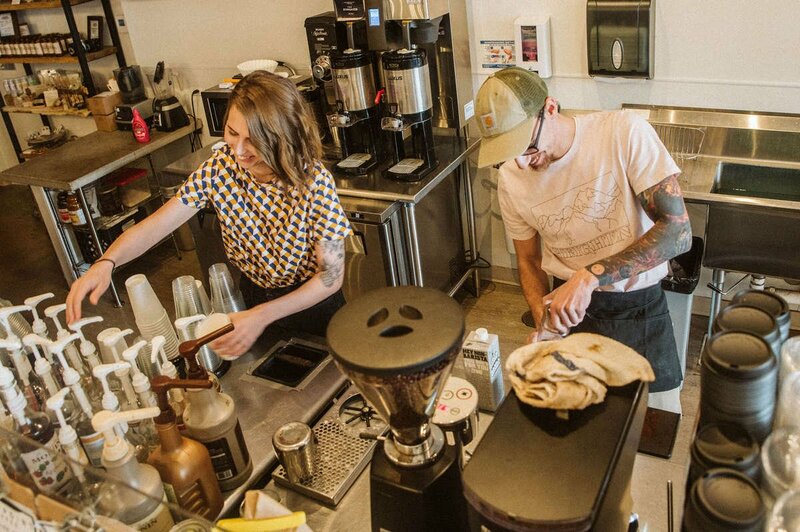 By surprise they not only found an espresso machine but a building that seemed too perfect to pass up as their shop's location. The location they stumbled upon is now where we call home to our first location, Founders. 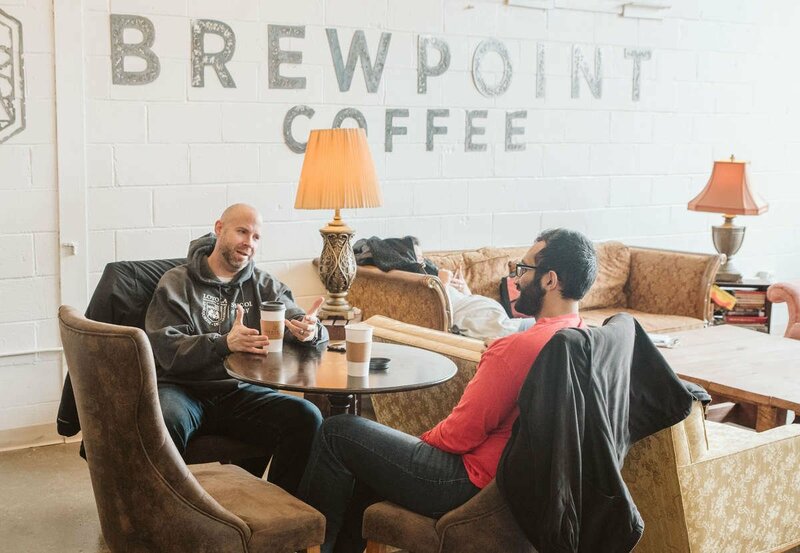 Maybe it was not three years down the line like they had expected but when they walked into the building they knew that 124 W Park Ave in Elmhurst, IL had to be where they planted Brewpoint's roots. 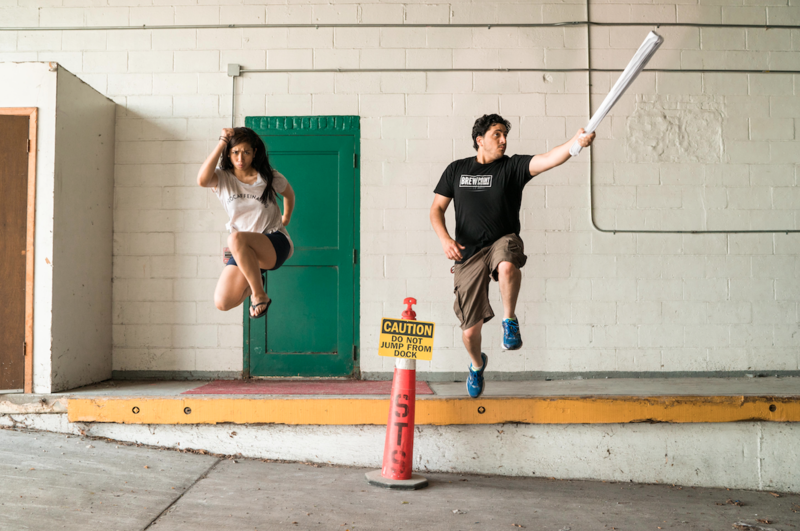 Quickly after starting the first location, Melissa and Angelo realized they had the opportunity to get their foot in the door to build up the community around them with their popularity and platform growing. 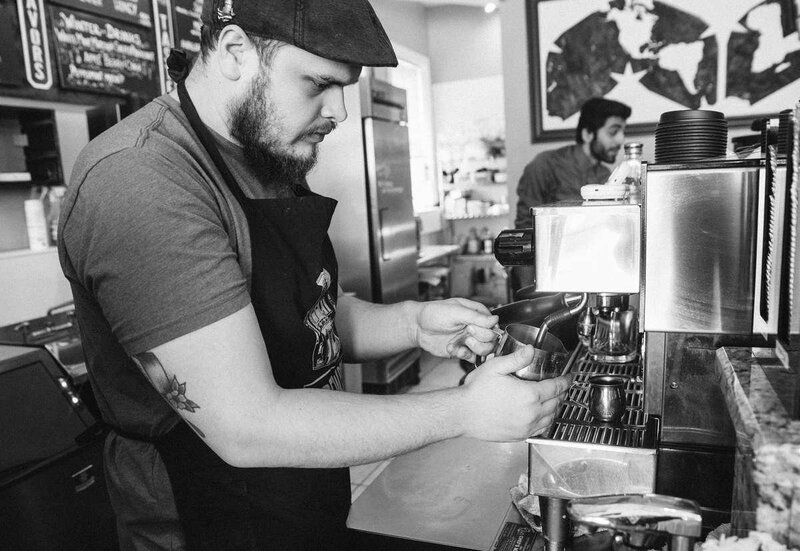 Through Brewpoint, Mel and Angelo were able to devote themselves wholeheartedly to their community focused ideals. 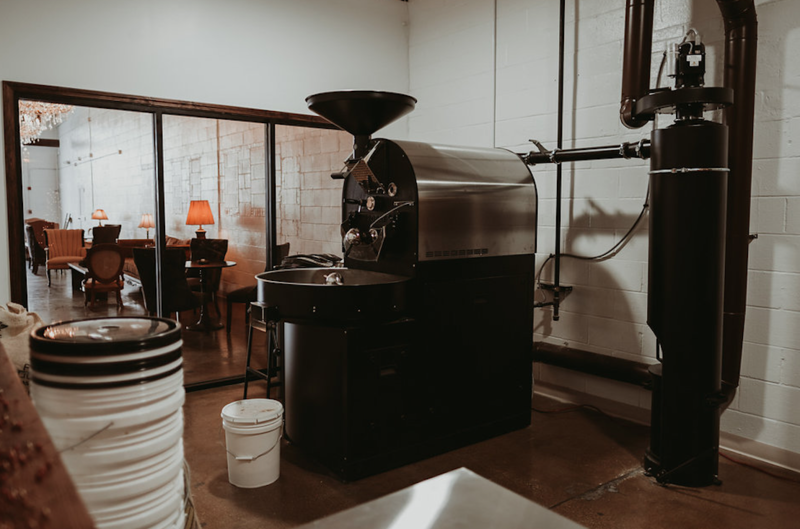 Fast forward four years to the present; three cafes deep, roasting in house, 25 employees, a growing wholesale business and event space, Melissa and Angelo are able to reflect and see that none of it would have been possible without the support of family, friends, and customers. 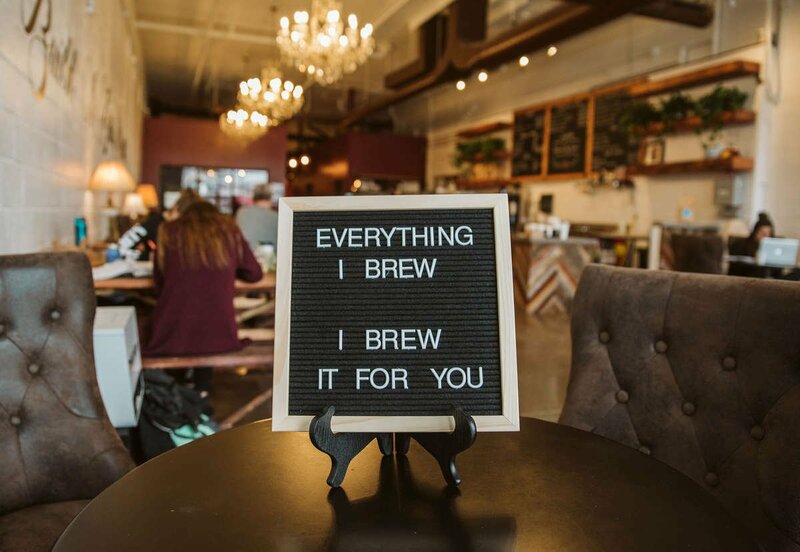 No matter who the customer is; a life long coffee drinker, someone who only drinks sweet lattes, a child of one of our customers, or even someone who drinks decaf, we want the Brewpoint Coffee experience to come from a place of authentic and diverse community. 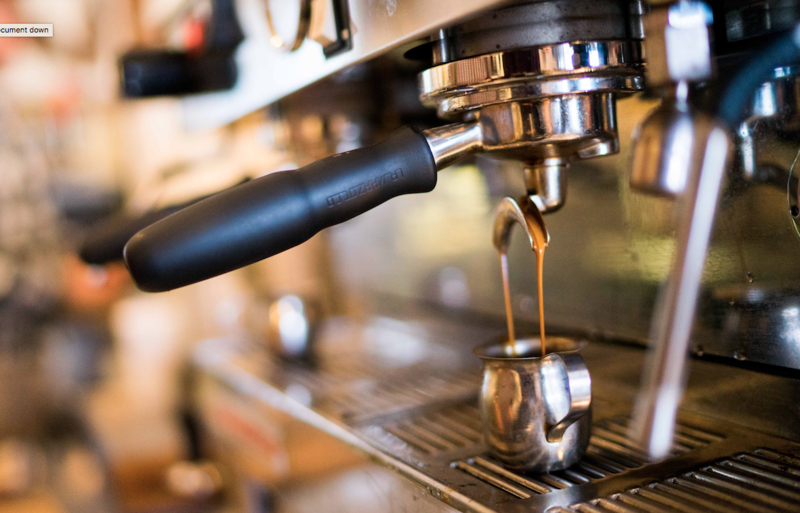 At Brewpoint, we know that coffee is no commodity anymore, with many coffee shops and roasters to choose from close to home, we want something different to drive your reasoning through our doors. 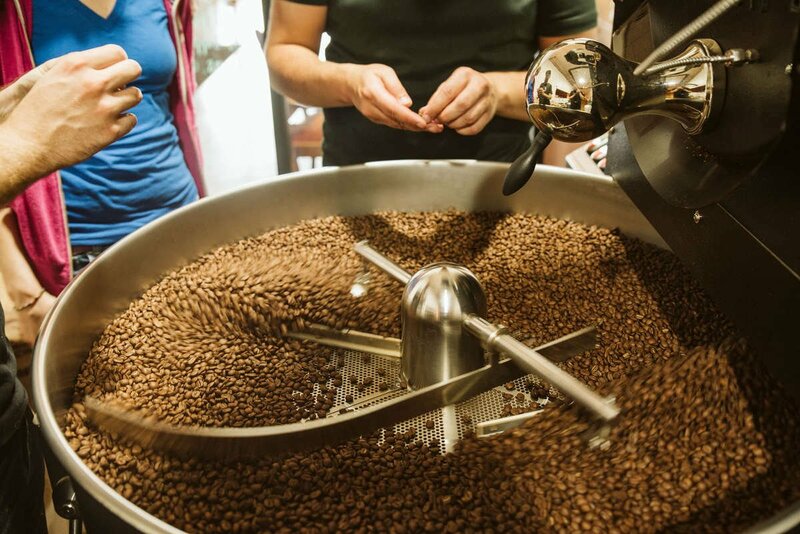 We want to ensure that we don't only have great quality coffee BUT our coffee defines who we are as a community. We want our community to share a story of the things we are passionate about on a local and global scale as well. FEBRUARY 2015 BREWPOINT OWNERS GET MARRIED! SEPTEMBER 2018 STARTED THE PROCESS OF BECOMING WOMEN & MINORITY OWNED CERTIFIED. Engagement: We believe that it is important to be present and have a voice in the ways that we interact. Whether it is as individuals or as a platform, we don't want to shy away but thoughtfully engage in everything we do. Kindness: We believe that Brewpoint is only worth doing if it makes the world a better place, and you can't do that without kindness. A quote that rings true for us is, "Be kind, for everyone is fighting a battle that you know nothing about." Diversity: This includes both equity and equality. We believe that all people, no matter what categories, have immense worth and dignity. Different perspective and backgrounds only add to our creativity and success. We not only want to be equal in our diversity, but we want to fight for equity for those who historically have less power. Thoughtfulness: We believe that reflection on our actions and intentions are imperative to treating people well. We also believe our business decisions and structures reflect our values and we strive to have thoughtfulness permeate everything we do. Respect: We believe that if we start from a foundation of respecting our policies, our employees, our managers, and our customers; we are able to do our jobs at a high level. Now this does not mean that we cannot want to better each other or our policies, but it does mean that we go the extra step in having our communication be about growth rather than venting frustration. Growth: We believe that we can always do a little better every day. This means seeking feedback for improvement, embracing constructive conversations, and looking for ways to help those around you grow as well.